CAMBRIDGE, England--(BUSINESS WIRE)--Essex County Council and Hertfordshire County Council today announced that they are working together to pilot new smart city services. The project, a partnership with Cambridge-based technology firm Telensa, will assess the potential quality-of-life and economic benefits of a range of smart city technologies. Essex and Hertfordshire are building on a foundation of investing in practical innovation. 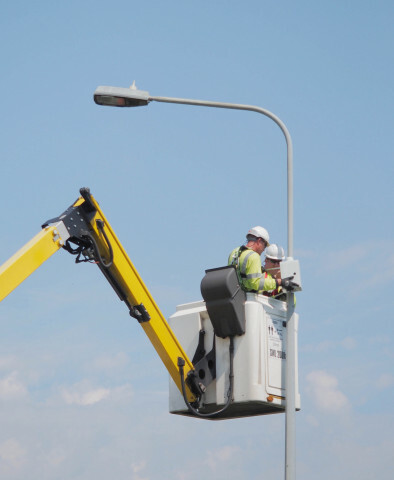 Both councils were early adopters of Telensa’s wireless streetlight controls, which pay for themselves and save money every year, by reducing energy consumption and enabling a more efficient maintenance operation. They also recognised that by harnessing their county-wide lighting networks, they could introduce new smart city monitoring services at a fraction of the cost. Gully monitoring: blocked street drains (gullies) cause flooding, and monitors can alert and even predict problems before they cause a flood. Highway wind monitoring: instantly alerts the highways team of high winds or gusts, and builds a data set that helps to predict dangerous local driving conditions. Traffic monitoring and analytics: from dimming unnecessary streetlighting on empty roads to understanding local traffic patterns. Waste bin monitoring: enables cleaner streets through more responsive collections, and helps make sure there is enough capacity where it is needed. Air quality monitoring: provides street-by-street measurement of air quality to complement the broad picture provided by existing monitoring stations. It’s not just about the operational benefits. Infrastructure monitoring builds up a vast data set that can be used to spot trends across departments, leading to better decision making and more joined-up working. The councils are currently assessing the suitability of three sites in Hertfordshire and Essex towns. The pilot is due to commence in March and will run initially for two months. Ralph Sangster, Executive Member for Highways at Hertfordshire County Council, said: “Smart technology is becoming an essential tool in delivering a high quality highways services and “Safe Smart” is an exciting opportunity to trial a modern technology which reinforces Hertfordshire County Council's ongoing commitment to maintain and improve roads for the benefit of all Hertfordshire residents. Essex and Hertfordshire County Councils are working with Telensa to pilot UK innovation in smart city services.